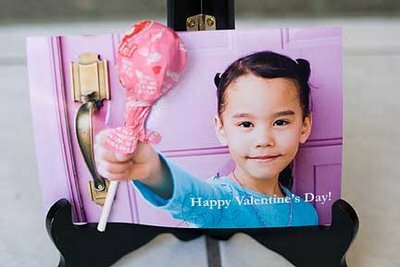 We have all seen the cute photo and lollipop Valentine where your child is holding out a sucker for her friends. Jen took it a step past suckers and created these cute valentines for her kids. 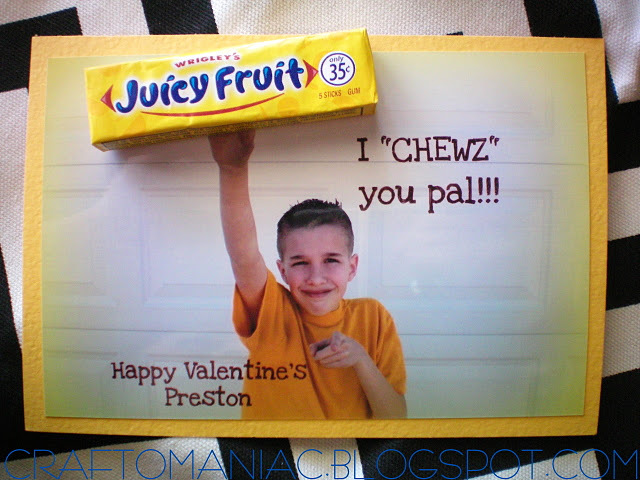 I Chewz You Pal for a pack of gum and Will You Be My Buttercup for yummy Reese's peanut butter cups. 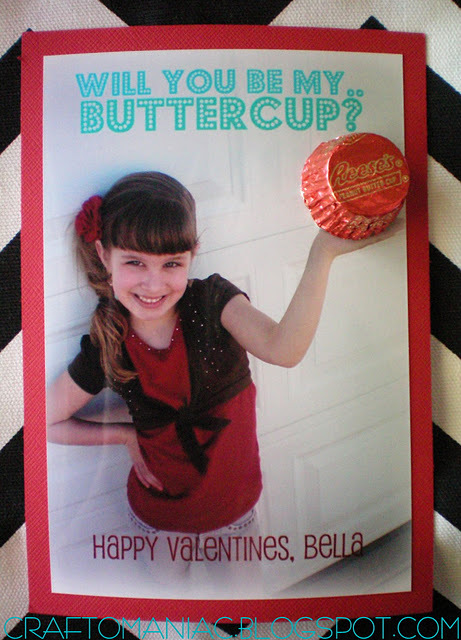 You can check out her photo and candy valentines over at Craft-o-maniac. Let's all study up on the proper use (and non-use) of commas! I love Craft-O-Maniac and found you on her page - now I have another "favorite" blog - You!